Thanks and best wishes with this wonderful fellow, we miss him. 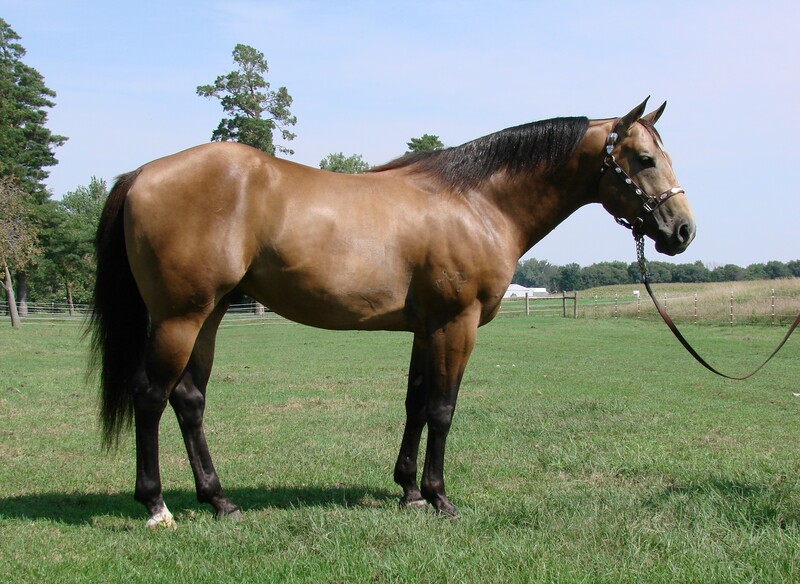 By Lone Drifter – Potter Ranch senior sire of Futurity and rodeo barrel horses and NFR rope horses. Lone Drifter is an son of Driftwood Ike, by Driftwood. His dam is by Yendis SI 96 by Top Deck. Geronimo is out of a daughter of a 4X NFR Qualifier & WPRA Reserve World Champion; Lee Ann Guilkey’s “Kid” Rackum On Man X Kitaman. She is Driftwood bred on the bottom. Geronimo is a unique double outcross of Driftwood and running bloodlines, and the kindest gentleman you will ever meet. For years my husband and I had dreamed about crossing the best barrel racing blood in the industry on the legendary rodeo performing Driftwood lines. We wanted to capture the Driftwood blood as close to Driftwood himself as we possible could to lock in the good mind, guts, and try these horses are famous for. In 2001 I called Mr. Mel Potter, and asked him lots of questions about buying a colt from him. I told him exactly what we wanted; a pretty headed buckskin stud prospect, out of a good barrel racing bred mare and by his direct grandson of Driftwood, and son of Driftwood Ike—Lone Drifter. Mr. Potter replied, “I don’t think I have what you are looking for right now, but I will keep you in mind”. In 2002 Mr. Potter called me back and said “I think I have your horse”, and it turns out he did. 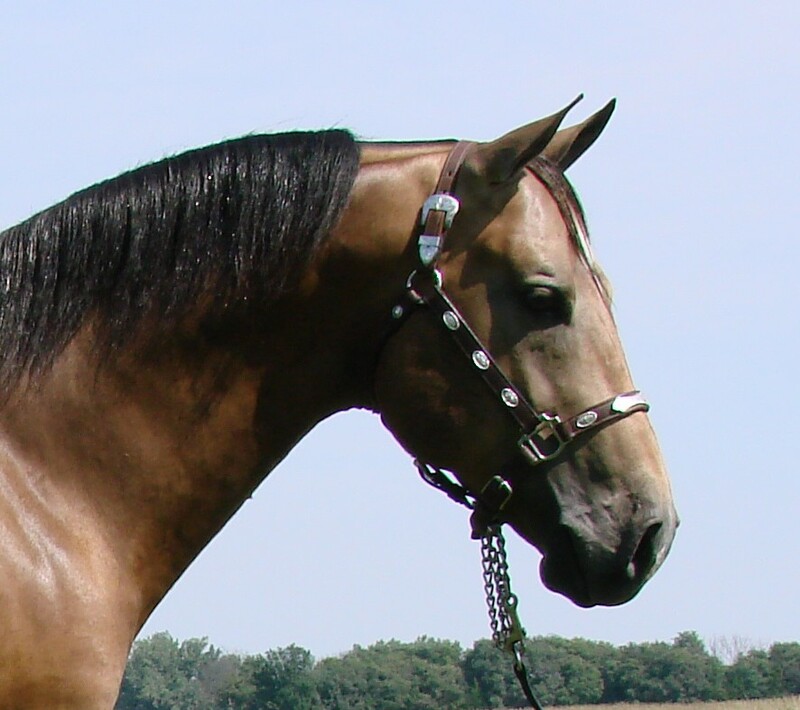 We bought this horse sight unseen as a weanling, and had him shipped from Arizona to us. We call him “Geronimo” because we sure took the plunge when we made this commitment to follow our dreams. We offer our thanks to Mel and Wendy Potter. It has been an honor and a privilege to have this beautiful horse which was hand picked for us by Potters and we have been delighted with him. What wonderful people to deal with, and we are so glad they have strived to preserve this amazing blood line. Hi Jackie, I will send you info. Thanks for asking! Hi Leland, I added a page to the website recently. The link (Breeding and Contract Info) is up on the top of this webpage with the rest and will take you to the breeding contract. You can open that and print it out. In the Breeding and Contract Info page the link to the contract is in blue letters. The fee is $550 for first shipment. Please send me your email address if that does not work, and I will be glad to email or mail you a contract. Please call me any time if you have questions, 605 270 9449. Thanks very much for your interest! We just had him out last night for sping clean up! He is such a kind horse.